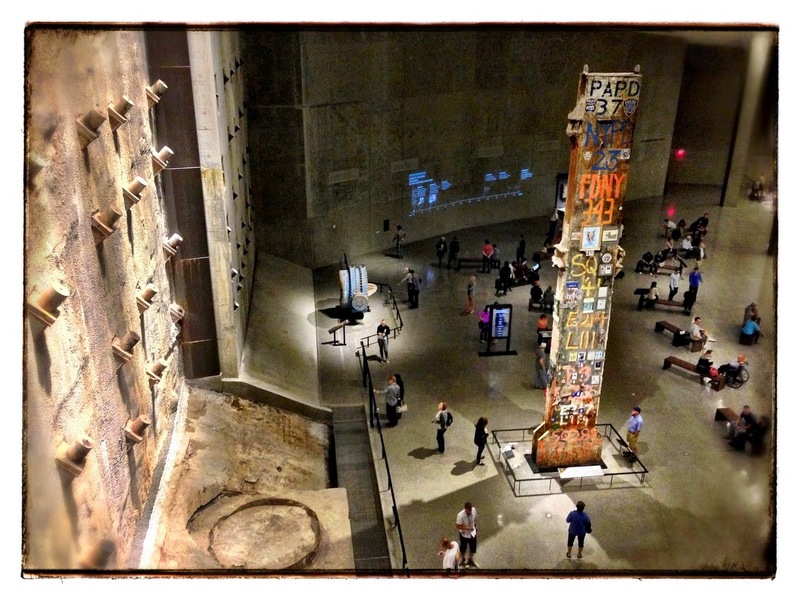 I spent the day at the 9-11 museum with Andrea, Bobby, Billy, Emily, Josh, Helaine & Norm. It was impressive, a chilling reminder of my US Open trip to NY in 2001. The buildings came down 2 days after the men's final. 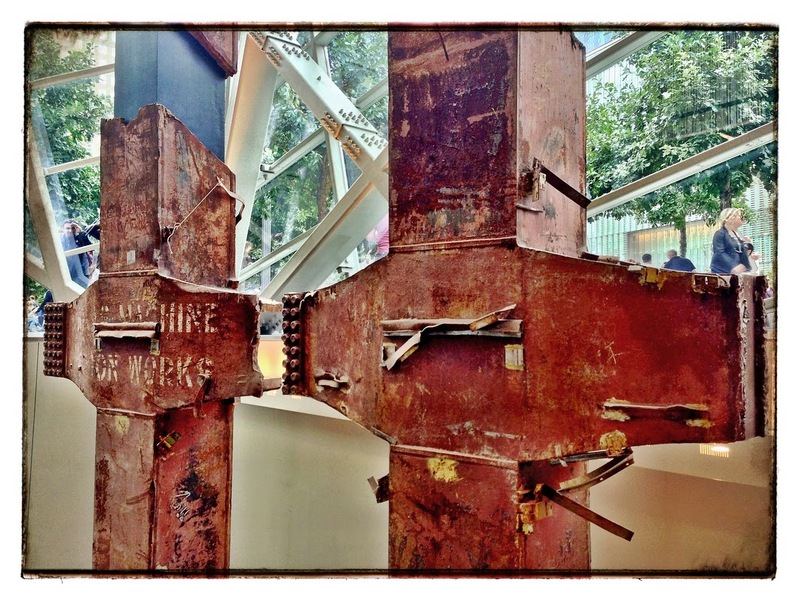 Approximately 50,000 people worked in the World Trade Center each day. Each floor was an acre in size. Each tower had 110 floors. There were 198 elevators in the Twin Towers & 15 miles of elevator shafts. Each express elevator could hold 55 adults. 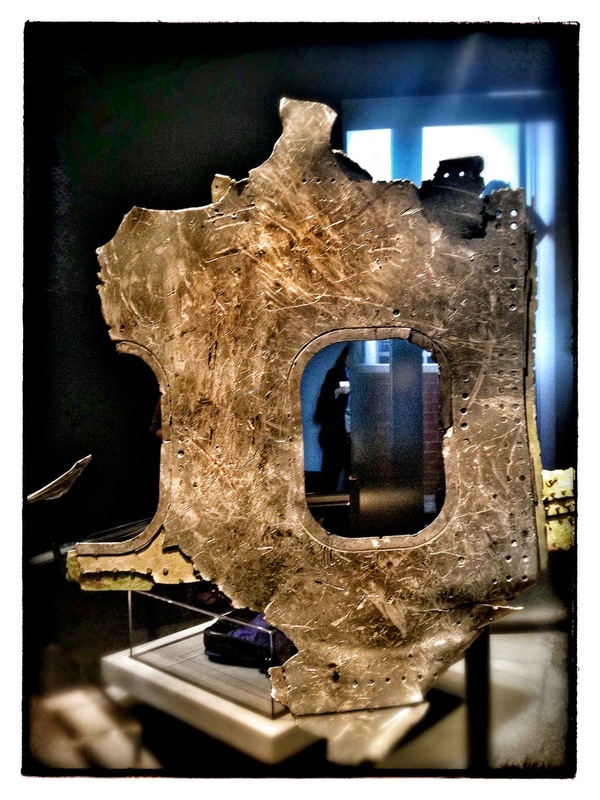 There were 43,600 windows in the Twin Towers & it took 2 months to wash them all. The World Trade Center contained 12 million square feet of office space. It took 10 carriers to deliver all of the World Trade Center's mail each weekday.